The Grand Hôtel Les Trois Rois is a history buff’s choice of accommodation par excellence. In the Middle Ages, ships docked around here, at the salt tower, and transported produce down the Rhine and into the world. Lying at the heart of Basel, Grand Hôtel Les Trois Rois is one of the oldest city hotels in Europe, founded in 1681 as an inn for gentlemen and rebuilt in 1844 as a Grand Hotel. Its guests were – and are – illustrious, visiting from all around the world: Empress Michiko of Japan, James Joyce, Pablo Picasso, and Thomas Mann to name a few. The hotel’s ambiance and aesthetic fits such a historical legacy: you’ll find a marble lobby; gilded arches and ceiling frescoes; a chandelier-adorned lift; a three-star Michelin restaurant; a pianist who plays Chopin while you sip cocktails. 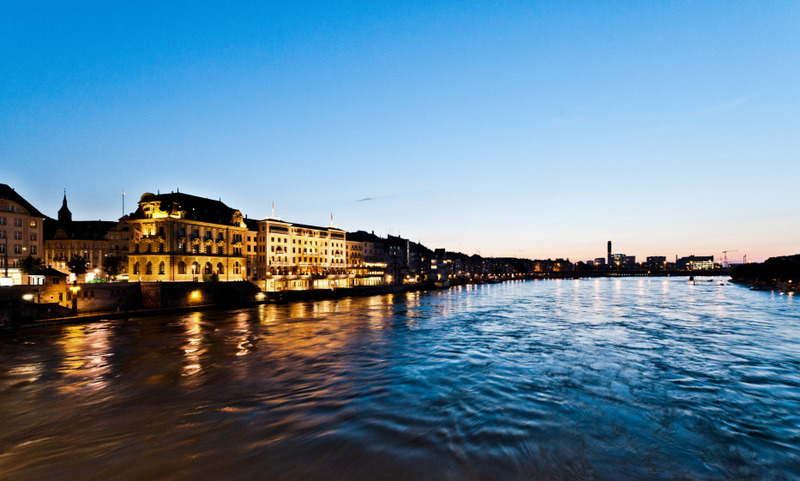 Great location on the heart of Basel’s Old Town on the banks of the Rhine river, offering spectacular river views. Suite Les Trois Rois: 250 sqm with roof top whirlpool. the staff make the difference: very friendly and attentive, not at all distanced. Lovely grand hotel with excellent service and so much history behind everything. Beautiful and relaxing stay, we could enjoy the terrace and the breakfast service was outstanding! Excellent hotel. Paul is a particularly competent and comprehensive concierge. Our kudos to him for helping us place an order and ship the item to Geneva. He went above and beyond. Patricia of the Reception desk was superb. A beautiful and comfortable hotel with impeccable service. The view on the Rhine is a real bonus. It was very nice and I would sure stay there again if I return to Basel. Thank you.